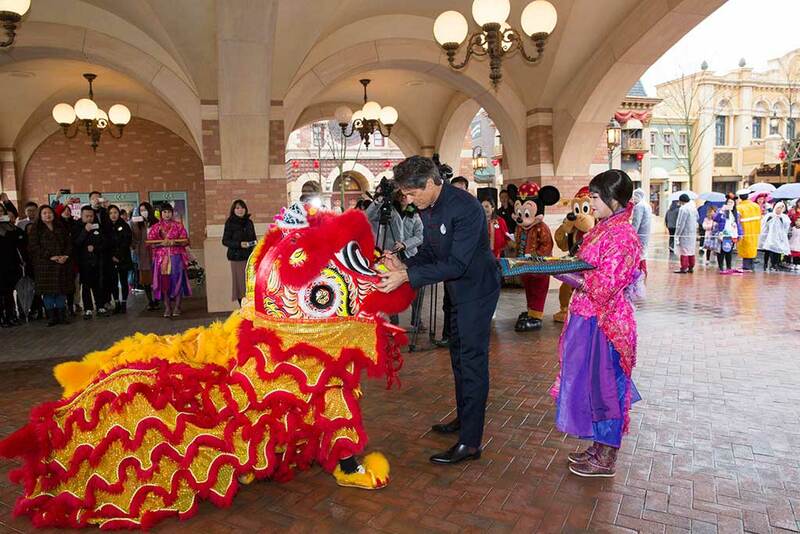 Shanghai, February 16, 2018 — Shanghai Disney Resort today celebrated the first day of the Year of the Dog with a Chinese traditional ceremony bringing fortune and prosperity to guests. 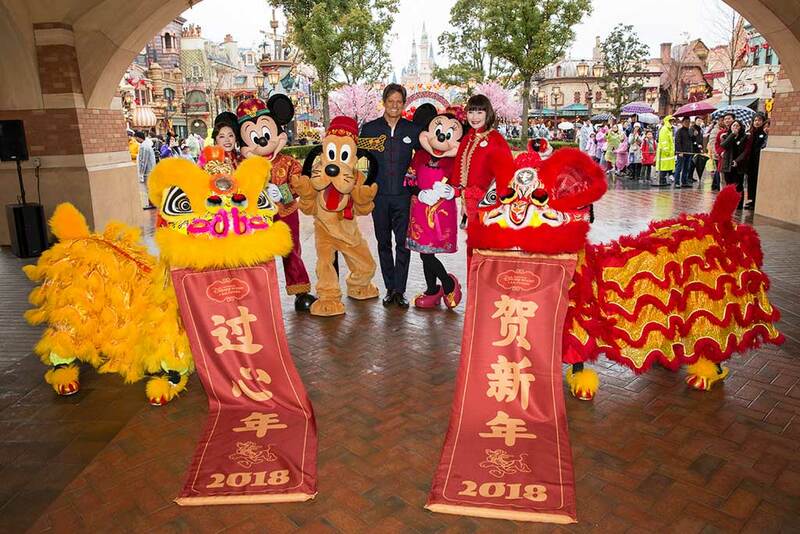 Joined by God of Fortune Pluto, as well as Mickey and Minnie Mouse, Philippe Gas, general manager of Shanghai Disney Resort – dressed in his specially made Chinese traditional suit – dotted the eyes of two lions, awakening them for the New Year and spreading good luck and cheer to resort guests and cast members. 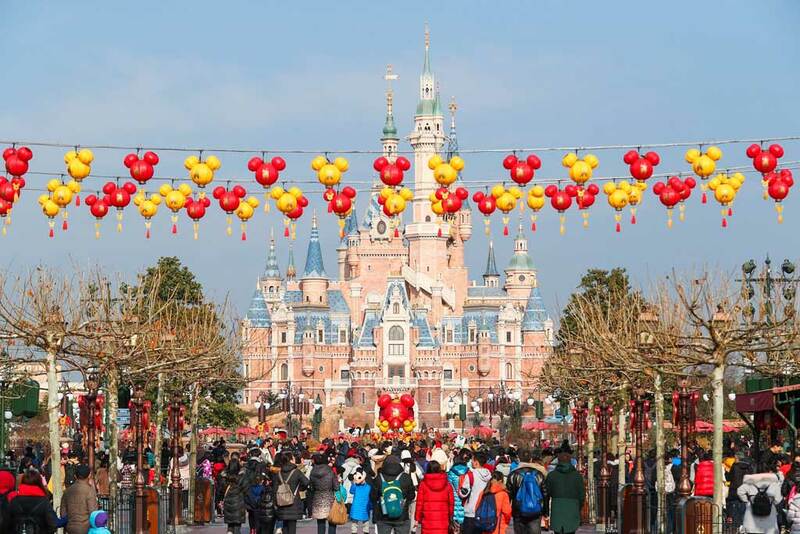 There is no more important time in China for families and friends to celebrate together than during Chinese New Year, and Shanghai Disney Resort is the perfect place to celebrate this special festival together. 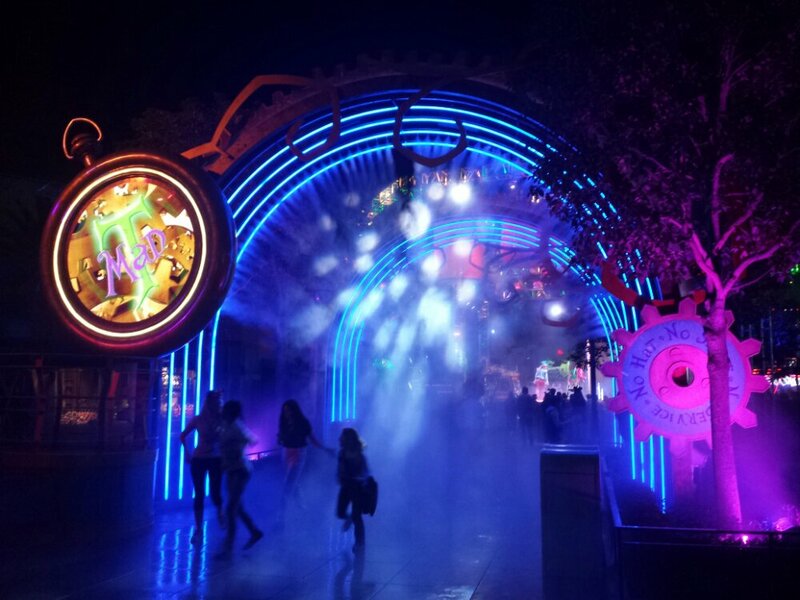 The resort is celebrating the holiday with traditional Chinese New Year festivities, magical holiday-themed Disney entertainment, special menus at our restaurants, and bountiful holiday shopping amidst vibrant Chinese New Year decorations, fully immersing guests into a one-of-a-kind Lunar New Year experience lasting through March 4, 2018. 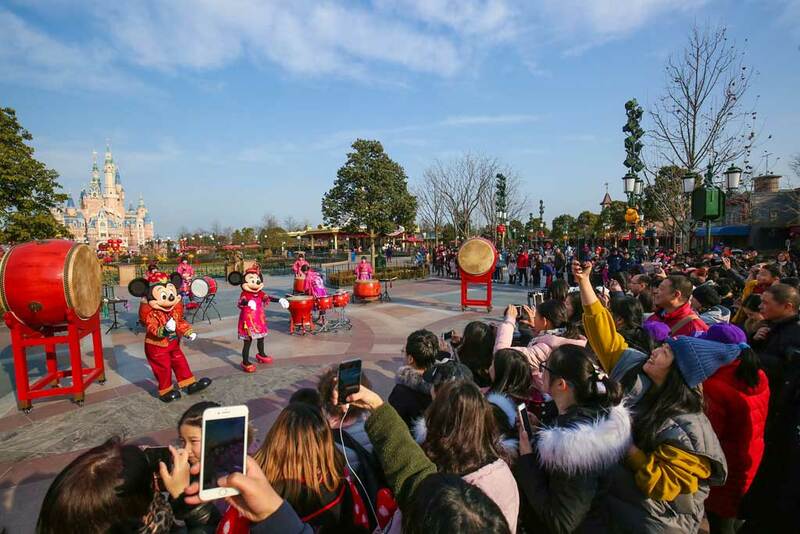 As an authentic Chinese New Year tradition, a daily drum ceremony in the Gardens of Imagination welcomes guests as they arrive at Shanghai Disneyland, beating classic rhythms that are filling each day with wishes for prosperity and happiness. 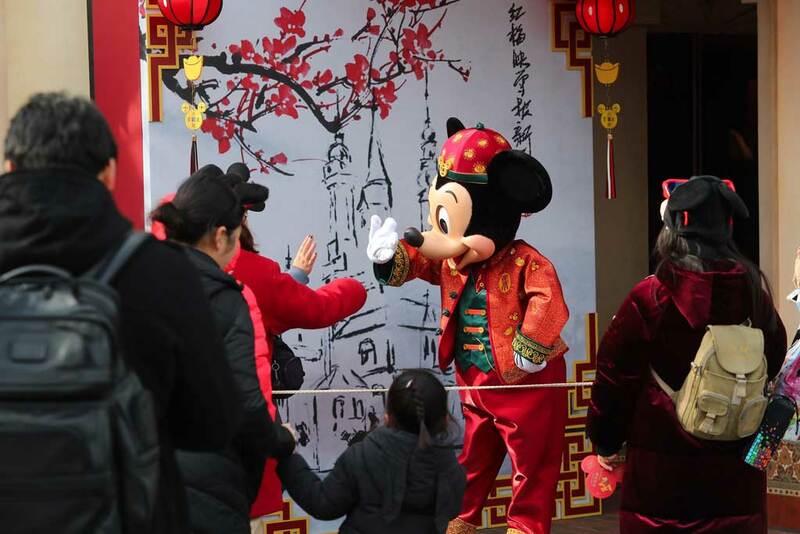 Throughout the holiday season, Mickey Avenue becomes a hub of celebration, hosting Mickey Mouse and his pals dressed in their Chinese New Year outfits to take photos with guests in front of themed photo backdrops. 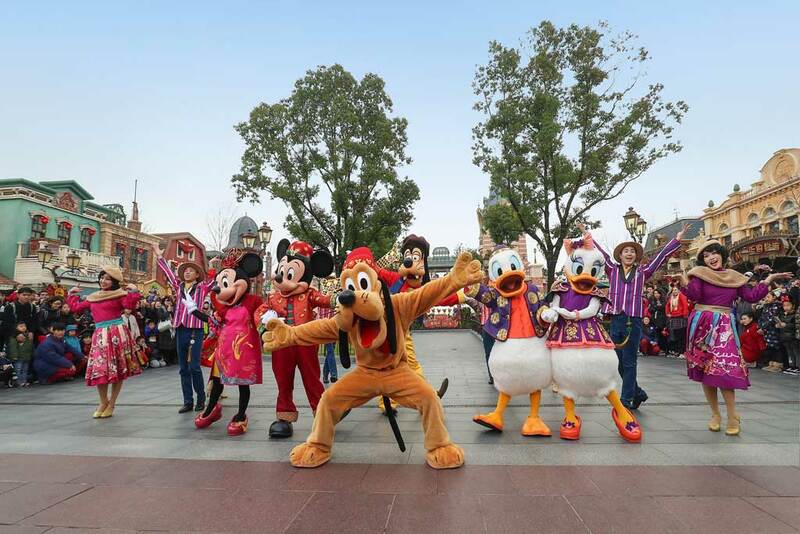 Adding to the fun and excitement of the holiday, Guests can experience the special entertainment designed to honor the New Year holiday, including the high-stepping Shanghai Swing! 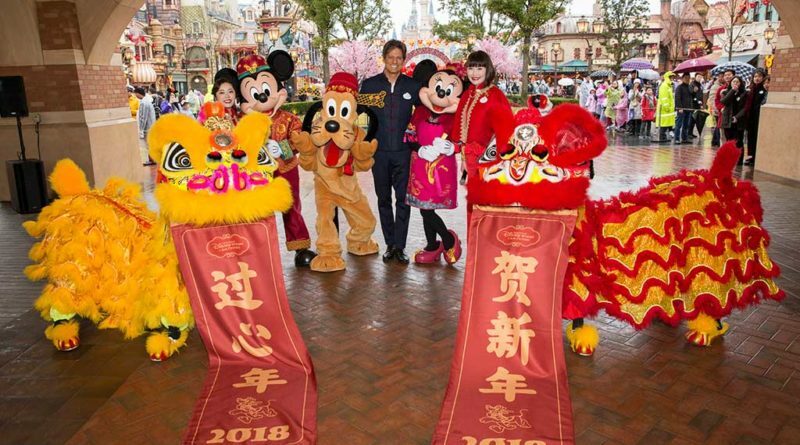 Inspired by the Lunar New Year and Shanghai’s historic jazz and swing traditions, it features Characters and dancers in beautiful vintage Shanghai costumes. 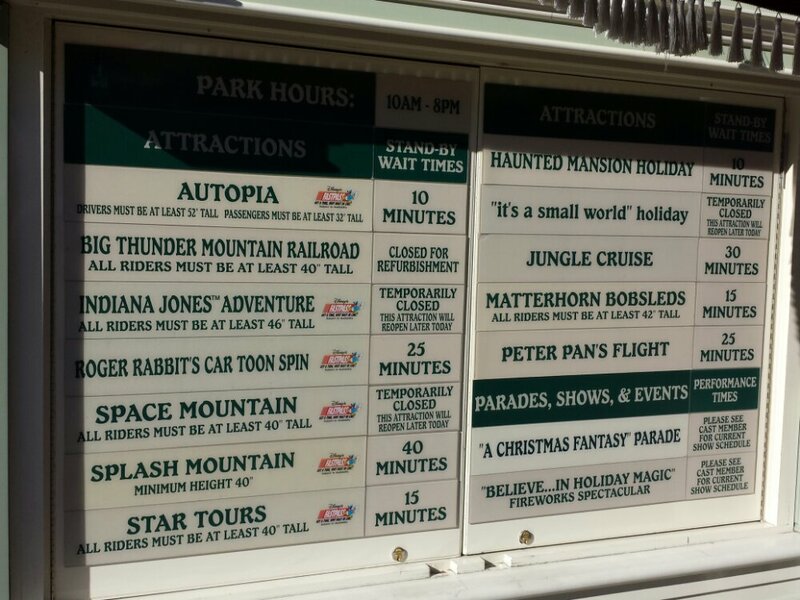 The Garden of the Twelve Friends is transformed into a magical “Wishing Garden” for the holiday. 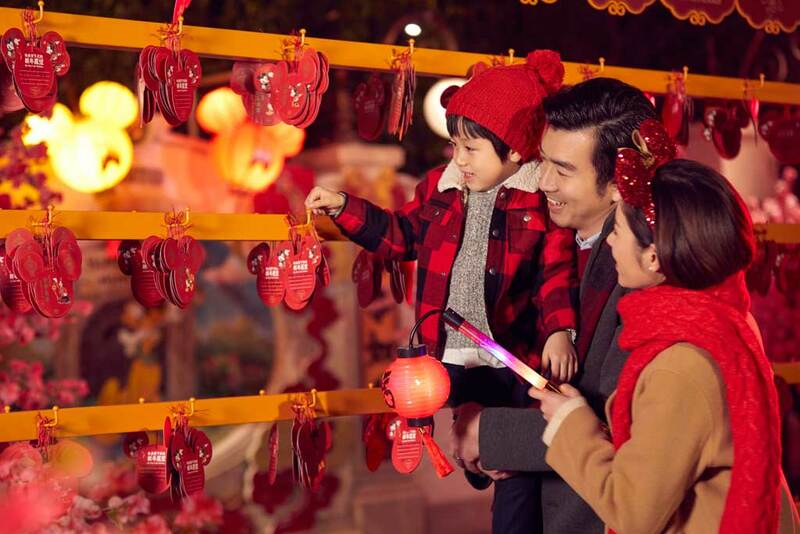 Guests are writing down their new year wishes on special wishing cards to hang their cards in the park’s first-ever wishing garden to embrace and welcome a magical year ahead. 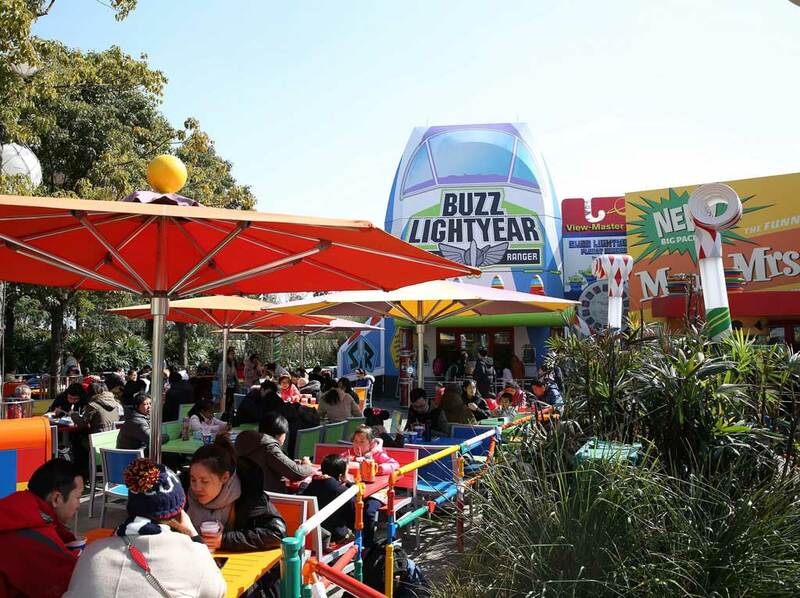 Guests also have the unique opportunity to visit and have an early taste at the Toy Box Café which recently launched ahead of the grand opening of Toy Story Land – the seventh themed land at Shanghai Disney Resort set to open on April 26, 2018. 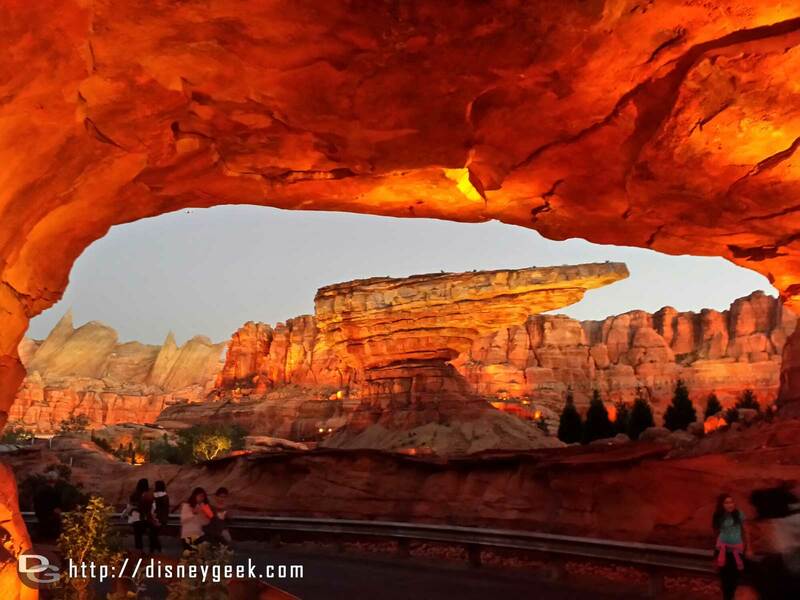 The brand new dining experience will transport Shanghai Disneyland guests into a world of toys while they enjoy delicious delights in a picnic-like area dining at oversized toy tables and chairs.